Thursday, October 27th, 2016 at 9:57am. 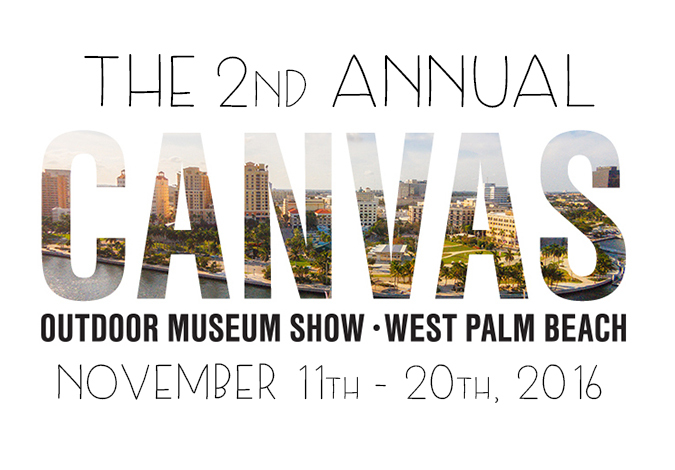 For the second year in a row, the city of Downtown West Palm Beach is going to be converted into an outdoor art exhibition called CANVAS Outdoor Museum Show. Your art experience will have no boundaries and no limits at the CANVAS show from November 11th to the 20th. Spread out over several event days, with multiple locations CANVAS is a celebration of art you won’t want to miss. More than twenty different locations will be transformed into massive art installations. Feast your eyes on building-sized frescos, intricate murals and jaw dropping works of art. These works will be applied to the sides of condominium towers, hotels, a city-owned garage, and even the Royal Park Bridge that leads to Palm Beach.